PhotoVoltaic solar panels (PV panels) convert sunlight directly into electricity. Without digressing too much into the technical detail: as a photon strikes an atom of silicon an electron is released, only to be trapped by the other side of the PV panel. This movement of electrons causes a current to flow, generating electricity which can be used around your home or sold to the national grid. Due to the Government’s Feed in Tariff (FIT) scheme, producers of renewable electricity are paid a set price per kWh generated; regardless of whether the electricity is used on site or exported to the grid. 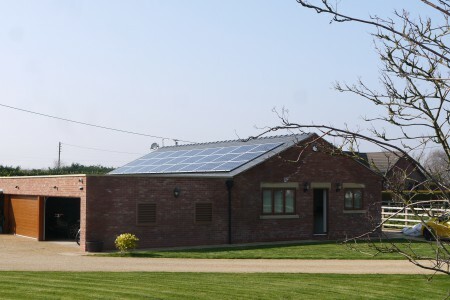 Return of Investment (ROI) rates on PV panels are currently around 9-10 %. With the ever increasing cost of energy, the financial benefit and energy security provided by PV panels represent a fantastic financial investment. 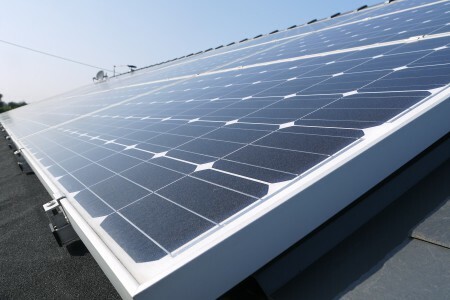 Solar PV systems are becoming common place on Britain’s rooftops, to see if your rooftop represents a good prospect for the installation of PV panels, contact us today and we will provide a quote and detailed financial analysis free of charge.